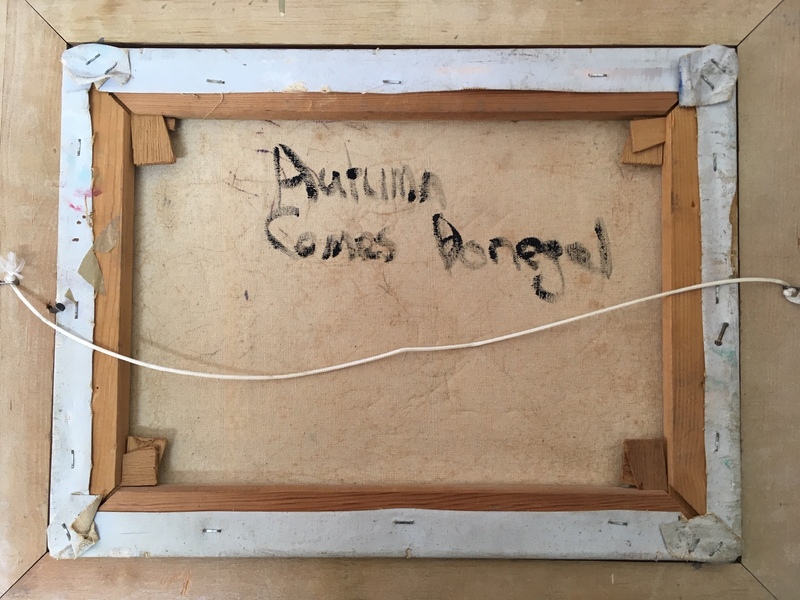 "Autumn Comes Donegal", oil on canvas, bears indistinct signature lower left, mounted in a cream frame. 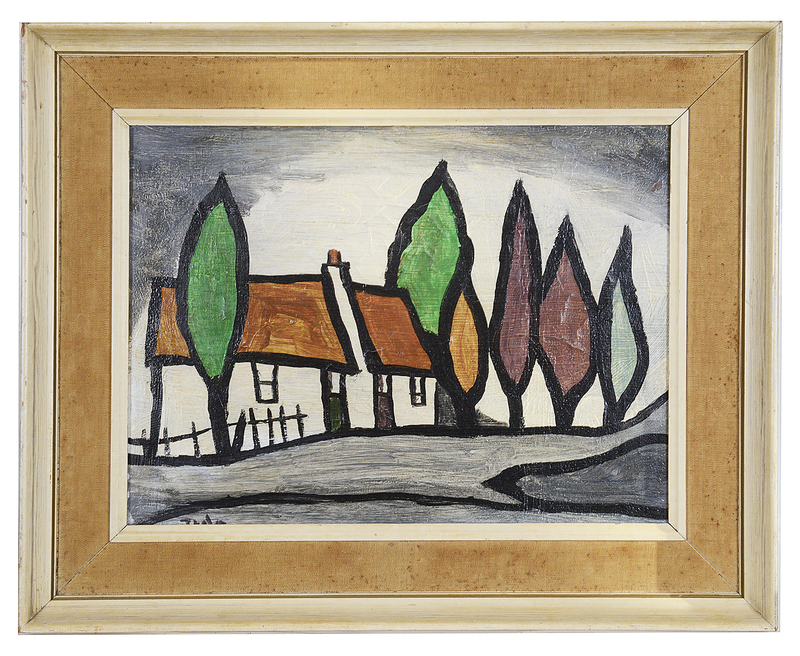 total frame: 43.3 x 53.5cm; canvas: 30.5 x 40.7cm approximately. Condition: Fair, with wear to canvas and frame, cracks apparent in oil.